The American Red Cross hosted a Platelet Drive on December 17th at the clubhouse. R&D foods donated chili and Caseys donated the doughnuts for this event. 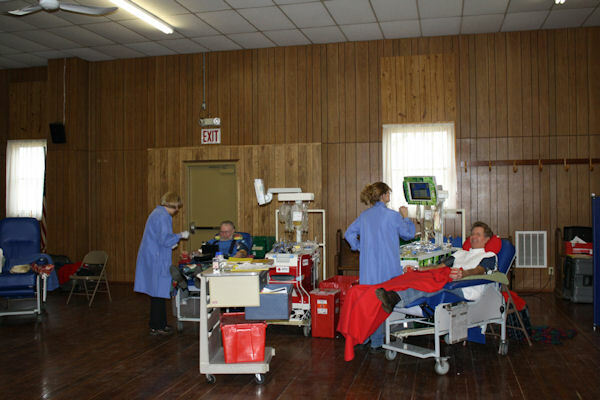 The Red Cross comes to La Harpe every 2 months for a blood drive. Their next scheduled time is February 18th. Platelets are the components in your body that causes clotting. Without these you would die. They are in urgent need for platelets because they only have a shelf life of 5 days. Platelets are used in cancer patients, burn victims, and leukemia patients. Also in babies up to 3 years old if they need surgery. Tom Koopman of La Harpe became an avid donor. He used to make trips to Galesburg to donate until they started coming to La Harpe. His granddaughter had Leukemia and she lost her fight to this horrible disease a few years ago. He couldn't stress enough that these donations are so needed and that they are looking for more men to come out and join the women in doing so. 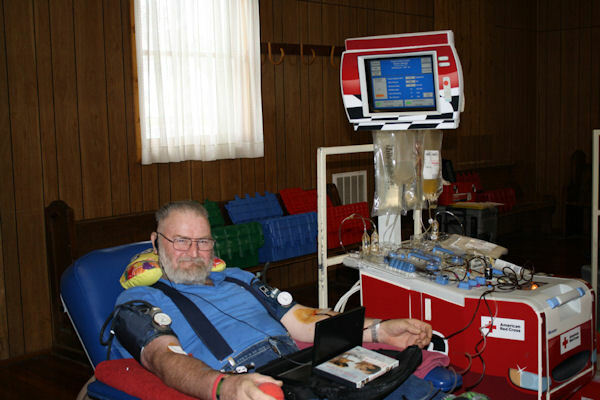 To donate platelets is easy. You get to just sit back and watch a movie while they stick a little needle in your arm and a machine takes out your blood, spins it to separate the platelets and gives the rest of your blood back to you in your other arm.